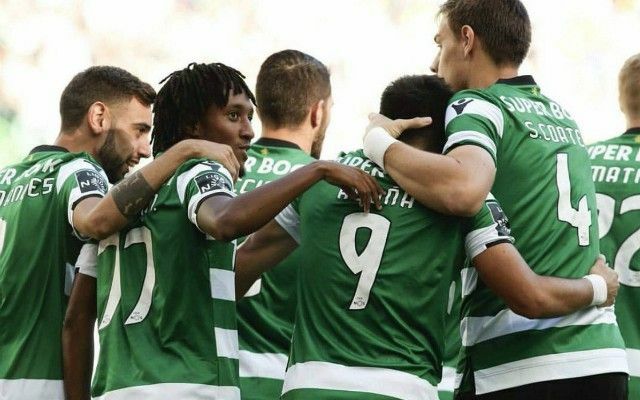 Gelson Martins has issued the green light to the race for his signature after officially leaving Sporting Lisbon as part of a stunning mass exodus. The winger is one of seven players to leave the Portuguese side after coming under attack from fans at the club’s training facility having missed out on Champions League qualification. Martins is one of the more interesting departures having been in talks with Liverpool over a potential move last summer before the eventual capture of Mohamed Salah from Roma. Just a year after being valued at £52million, Martins has surfaced as one of the potential bargains of the summer on a free transfer. Interest from England and abroad could now begin to accelerate in light of the 23-year-old officially terminating his contract, as confirmed by BBC Sport. during the Barclays Premier League match between Norwich City and Stoke City at Carrow Road on August 22, 2015 in Norwich, England. Liverpool’s evident need of greater strength in depth in their wide positions presents Martins as a logical option to pursue. It remains to be seen, however, whether a successful approach for Stoke City’s Xherdan Shaqiri would consequently rule out Martins as a target. On the basis of his sheer pace and directness, he stands out as an ideal candidate to fulfil Jurgen Klopp’s wish for attacking alternatives in his physically-demanding system. Arsenal are also said to be keen on the Portugal international as new manager Unai Emery contends with limited transfer funds ahead of his first season in charge.